Contemporary Country and Traditional Farm Cottages at Hendersyde, Five Minutes downstream from delightful Kelso, in the beautiful Border countryside! Millsyde, special & spacious, has soothing space for six. Weeks are welcome - short breaks a last minute option - or if you see a gap! Prices from £675 to £1200 West & East are traditional farm cottages - with cosy fires and central heating - sleep up to 4 people. Dogs are welcome in West. Weekly prices from £325 to £540. Any day - any length of stay - you'll be welcome - with discounts for couples on all bookings! There's always a warm welcome waiting at Hendersyde! We hope you will really relax and feel very much at home. The cottages stand in blissfully peaceful spots at the end of their own lanes – in the middle of our family farm – surrounded by walks, wildlife and wonderful views over The Tweed and Eden valleys. There's so much to see and do on both sides of the border– Hendersyde is perfectly placed to explore the beautiful Scottish Borders, Northumberland and have a day in Edinburgh! We try to make life easy for you ..... there is up to date availability, booking online options, and a raft of information about Hendersyde, Kelso, the Scottish Borders and Northumberland on our web site - www.hendersyde.co.uk have a look and see what you think! We stayed in West Cottage. Surprisingly spacious and light for a cottage. Very clean and well presented with a well equipped kitchen.Beautiful views from the bedroom windows.The cottage has its own private garden with table and chairs. We booked this cottage because it is only one hours drive to Edinburgh and easy access to the coast, on arrival we discovered that it is surrounded by beautiful countryside. What more can you ask for? Countryside, city and coast, all in one holiday. A word about Sue - she is very friendly and welcoming and she bakes great buns. We hope to be back some day. Wonderful stay at West Cottage, our 2nd year running. Great spot for those on holiday with the dog, nice enclosed garden, and plenty of walks around the farm estate. Plenty to see in the area, and within an hours drive, stately homes and grounds, beaches on the East coast. The cottages are so well equipped and well maintained, with Sue the owner having a great deal of local knowledge, plus great cakes on arrival. We had a fantastic welcome from Sue who had 'set' the table for afternoon tea with home-made rock cakes - what a wonderful start to our Kelso experience. All the rooms from bedrooms, bathrooms, sitting room, kitchen, were beautiful. Everything was clean, tidy and immaculately decorated. My family and I would have not hesitation in recommend this to family or friends and in fact we are hoping to return some time in the future. Excellent accommodation, well equipped and clean and an especially warm welcome. Perfect location, peaceful but close to towns for amenities. Edinburgh also only 1 hour away! Would highly recommend this property. Make up of party: Three generations. Plenty of space for all! Fabulous location and beautiful 'home from home' cottages. We will keep going back to Hendersyde year after year! There are loads of places to explore in and around the Borders, though Hendersyde farm itself is the most popular with our children! The Beck family are so welcoming and make our children's holiday by letting them help with the lambs. Perfect place to relax, unwind and explore the border countryside! what a wonderful place, cosy, homely and lots of extras to make your stay more comfortable. Lovely area, easy access to lots of wonderful places. Very friendly and scrumptious home made cakes and fresh eggs waiting for us on our arrival. Make up of party: myself, my husband and our son. We stayed at Millsyde and wanted to move in! It is a fabulous property, made to feel like home, with everything you could wish for; even cake tins if you feel the bake off urge. The kitchen diner is simply stunning, you can watch the deer as you make your morning brew. There is a huge lounge with wonderful fire, a snug area in the kitchen and table tennis in the garage so lots of places for extended groups to occupy! The bedrooms and bathrooms are gorgeous with top end fixtures and fittings and homely touches everywhere you look. My children loved finding the hidden bears! If you are active outdoors, the bootroom and utility are a godsend and my Husband did not worry about his bike! On arrival you get home baked goodies as well as the usual and there is a large supply of tea and coffee. Sue and her family are really welcoming and a great source of local information. They really go that extra mile, for example offering to take your on-line shop in before you arrive and returning left behind items. We even borrowed their dogs for a riverside walk. We look forward to returning with our new puppy. Make up of party: Our party was made up of three generations of our family, with ages ranging from 72 to 7. The house was really accessible as it is on one level and as I have said, has lots of different spaces, so everyone had somewhere to do what they wanted! Lovely, warm , happy, well-equipped cottage in idyllic setting.Sue has thought of everything to make your stay accomodating,personal and enjoyable.Have holidayed there a few times for lovely,chilled short breaks and each time it leaves even better memories! Would recommend it 100 percent. Stayed at Millsyde for a week, attending a family wedding nr N Berwick partway. Was great for me as a disabled person - level access through front door, low tray to the shower in the main en- suite and smooth floors. The huge kitchen/dining/living room provided lots of room for our family of four and dog. The area surprised us with so many things to do and see. Cottage well equipped, roomy and comfortable. Garden lovely for the dog (though owners of errant dogs like ours, note not fully fenced to the rear!) and lovely dog walks on the doorstep. Recommended! Diese Ferienwohnung ist hinsichtlich Ausstattung und Komfort kaum noch zu toppen. Es ist deutlich zu erkennen, dass die Besitzerin eine au�ergew�hnliche Hausfrau sein muss, denn sie hat bei der Einrichtung vom kleinsten K�chenmesser bis zum freien Internetzugang wirklich an alles gedacht. So bestand auch der Begr��ungsstrau� nicht nur aus einer riesigen gef�llten Obstschale, sondern auch aus Kaffeepulver, Teebeuteln, Landeiern und sogar aus einer Flasche hervorragendem Wein. Wer hier einzieht, muss nicht gleich an den n�chsten Einkauf im nahegelegenen Kelso denken – es ist nahezu alles vorhanden. Da kann man sogleich auf der wundersch�nen Terrasse vor dem Bungalow entspannen. We just spent a week at West Cottage, complete with dog. Warm welcome from Sue, and found a great well presented and equipped cottage. Secluded spot close to KELSO, good walks around the farm estate. Helpful info on attractions in the cottage. One of the best we have stayed in, worth its 4 stars, have already booked a return visit. We stayed at Millsyde but also booked one of the small cottages for our party of 8. My husbands 60 birthday celebration could not have been better- beautiful farm location, close to amenities of Kelso, something for all the family with an age range of 4- 60. 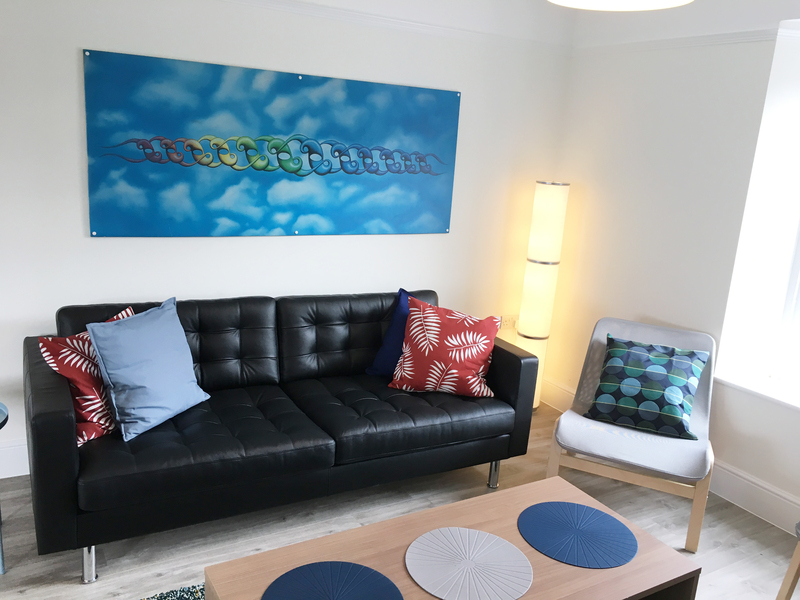 Immaculate Millsyde with every luxury from home- cosy, underfloor heating, beautiful kitchen, fully equipped with beautiful crockery and glassware, dishwasher, washing machine and drier, spacious rooms, with so many personal touches from Sue, the owner. Board games, large screen TV, set tea table on arrival with warm rock cakes, home made bread and fresh farm eggs, fresh flowers and even a bottle of bubbly to celebrate my husbands birthday. My expectations were high as I had researched the venue and they were surpassed! We sampled fishing with eoin and cly shooting with Alastair at the Roxburghe hotel- a real experience enjoyed by the whole family. Pony trekking at Bowhills stables, individually hand led, as we were beginners. A fantastic meal, also catering for children at the Cobbles with scallops and fresh spring lamb. The whole experience made the birthday celebration an experience for the whole family to remember for many years to come. Thanks to all those who provided an experience that would be hard to better anywhere in the world! Special thanks to Sue at Henderson farm for making it so special. My grandson hasnt stopped talking about feeding the lambs since he got home. Make up of party: Family of 86 in Millsyde, 2 in one of the traditional cottages. My husband and I were lucky enough to spend a few days at Hendersyde during our honeymoon tour of Scotland. Our stay at the West Cottage was romantic, idyllic, charming, comfortable, and 100% unforgettable. From the time Sue greeted us at the top of the lane, we felt entirely at home. Sue went out of her way to make our stay memorable; she put a bottle of champagne in the fridge, left fresh-baked shortbread in the kitchen, and even sprinkled rose petals on the bed! Her attention to detail clearly extended to the care and decoration of the cottage. My husband and I couldn't help but wish it was our full-time home! The views from the cottage were stunning. It was a pleasure to take a stroll along the river and pop-in to the Hendersyde farm to spy on the cows. The location was perfectly situated to give us easy access to Kelso, the abbeys, and we even took a day trip down to Northumberland. All around, Hendersyde is heaven on earth. We hope to share this magical place with all our friends and family one day soon! My husband and I stayed in East Cottage with our dogs. Sue gave us a lovely welcome on arrival and had gone out of her way to help us by borrowing a dog crate for our pup. We walked into the lovely new kitchen and found a tea-tray set with home-made rock-buns which were very welcome after a long journey. There were other little touches such as fresh flowers on the table and a basket of fresh eggs, and even biscuit treats for the dogs! The cottage itself is a real home from home, spotlessly clean, and is equipped with everything you might need from kitchen equipment to books and board-games and a lovely comfy bed. There is a delightful enclosed garden with the cottage, and Sue showed us on a map where we could walk the dogs around the headlands which was just perfect. The cottage is just 10 minutes from Kelso and is very easy to find. We had a lovely stay and wish we could have stayed longer. We would heartily recommend Hendersyde Farm Cottages and would love to have another stay there. Make up of party: Couple and dogs. Millsyde is set in beautiful and peaceful surroundings and is the perfect place to relax and unwind. The facilities are fantastic and the cottage is so well equipped with a kitchen that has everything one could possibly wish for. We were made to feel so at home by Sue's kind hospitality. She welcomed us warmly and was very attentive to all our needs. It was a lovely surprise to find homemade rock buns and tea waiting for us on our arrival, as well as fresh eggs, bread,fresh fruit, milk and even a bottle of wine. Also a bowl of fresh water and dog biscuits for the deerhound! What more could one want! My father enjoyed the comforts of the lovely drawing room where he could relax and read in peace while I ventured outside and discovered some wonderful walks to do with the deerhound. There is spectacular wildlife to see and the countryside so unspoilt. Sue had left lots of information on places to visit and eat out. We also took the opportunity to sample Suzie's Suppers on our first night so we didn't have to worry about cooking a meal as soon as we had arrived. We pre-booked it earlier and it was all waiting for us in the fridge when we got there. It was an absolutely delicious home made 3 course meal and excellent value. I wish we could have stayed longer as three days passed all too quickly! We had such an enjoyable week in this lovely cottage. Complete with a brand new kitchen, we found the cottage exceptionally well-equipped and comfortable. Probably the softest and most comfortable bed I'ved ever slept in. Sue gave us a warm welcome and we were delighted to find fresh rock cakes and eggs in the house for us. We were welcome to visit the farm to see lambs and calves and walked every day right from the cottage through the fields and along Eden Water. A wonderfully relaxing week in spite of the cold. This cottage is set in the beautiful and serene Tweed Valley where it perfectly reflects the area. The local town of Kelso will give you everything you need and a trip to Melrose and the Eildon Hills is well worth the effort. The cottage is equipped with everything needed for a comfortable and relaxing holiday, and the welcome we received from Sue was warm and welcoming, along with the tray of tea and rock cakes. We had a wonderful time as did our dog, the area is very dog friendly and I would thoroughly recommend choosing Hendersyde if your thinking of visiting this area. Our third visit to Hendersyde, lovely again. Really nice and helpfull people. On arrival at Millsyde Cottage we received a very warm welcome from the owner, Mrs Sue Beck. She took time to show us around the delightfully appointed cottage and we had a most pleasant time staying there over Easter. The kitchen is thoughtfully laid out and adjacent to the pleasant dining area. The bedrooms are comfortable and walks undertaken near the cottage were most enjoyable and in attractive countryside. A most relaxing environment for all of us. Make up of party: Two families, each of three. Millsyde was fabulous. We would recommend it to no one. Such attention to detail in every way. Fantastic. We stayed in West Cottage and had a excellent time, the cottage is very cosy and a brilliant base for us as we were going to the races in Kelso. Sue was an excellent host & as a welcome provided us with lovely homemade rock cakes as well as the fresh eggs. She even took us to the racecourse who could ask for more. We really were able to relax here. Perhaps ours wasn’t the normal ‘holiday’ visit but a refuge from the madness of moving house, Sue & the cottage provided a small sea of sanity and a welcome providing space both for the mind and the body while walking the dogs, even they managed to unwind from an even greater feeling of insecurity – so thank you for our 10 days – the search goes on for that home, we might need to return! Make up of party: Couple of people and a couple of dogs. Luxury accommodation at its finest ! Sue\'s attention to detail and extra little touches make this a wonderful place to spend a holiday. Millsyde is equipped with absolutely everything you could possibly need. Sue has done a magnificant job with the interior design and every room has had so much care and attention in the planning. The kitchen/day room is a superb space and I am now planning a similar kitchen back home.....my husband thinks this could have been a more expensive trip than he had planned ! The wood burning stove in the lounge makes a very cosy place to relax on a winter\'s evening. The beds were divine... like sleeping on a cloud. We cannot wait to return to Millsyde and to Sue\'s wonderful welcome. Millsyde is a really comfortable, well equipped and conteporary experience. We stayed with out extended family and had a wonderful time. Millsyde was a fabulous place to stay. We would recommend it to anyone. Beautifully presented accommodation and warm, friendly welcome. Have a great time. A lovely welcome,delicious rock cakes,fresh eggs and a comfy well equipped cottage awaited us at the weekend.I really can never find a fault at Hendersyde Cottages. It\'s a joy to step out into the country and just walk the dogs and relax and then return and light the fire. I cant wait to go back again. soon! A perfect home from home, very warm and cosy cottage and superbly well equipped (good quality equipment too). Sue is a perfect host and even had a cup of tea for us and fresh milk and superb eggs! Great way to relax and only an hour from Edinburgh. This is a beautiful cottage. Our extended family party celebrated Christmas here and everyone - from a 2 year old to an 87 year old - agreed that it is a fabulous property. Spacious, thoughtfully designed, exceptionally well equipped and comfortable, we thought it was faultless. We wouldn't hesitate to recommend it and only wish we could have stayed longer! A lovely trio of cottages set in the stunning borders countryside. Located 5 mins drive outside Kelso, which in itself is an unspoiled traditional town with mainly independant shops located around the town square. The Beck family were exceptional hosts, leaving us with a feeling that we hade made good friends. Simple touches in the cottage made up feels welcome right from the outset. A tea-tray set out with a freshly boiled kettle, homemade cakes and 6 fresh eggs. What a lovely house (Millsyde)- spacious, warm, comfortable and well-equipped with a huge kitchen incorporating range cooker and dishwasher, wi-fi (included in price) and two bathrooms. And a warm welcome from Sue Beck, as always. We'll be back I am sure! Staying at Hendersyde Farm was a treat for us. Besides the warm hospitality the weather also welcomed us. The cottage was clean and comfortable. Very very nice. We had a wonderful stay. Make up of party: Family of four. We were so pleasantly surprised at the warm welcome from Sue, the rock cakes and tea were wonderful and eggs an extra bonus. The sunlight in bedroom every morning started the day perfectly. We loved the fireplace and bookcase full of good books for relaxation every evening. Cottage is well equipped with every necessity and is situated right in the middle of all the spectacular historic sites of the borders. We hope to come back again sometime and will let our family know just how wonderful our stay was at Hendersyde with Sue. A fabulous setting. Millsyde is simply beautiful. Perfect for a family gathering. We were keen to get out to see the countryside on our bikes. Easy access to quit roads suitable for the family. Lots of coffee shops along the way. Use of the garage for muddy bikes, washing and drying facilities made this the ideal base for cycling. We stayed at Sue's new development, Millsyde. It's a three bedroom cottage all on the one level and would suit either a family with grandparents, three couples or just a bunch of friends. Bedrooms are flexible - just speak with Sue for your perfect configuration. The cottage itself is an absolute gem, wonderfully furnished to the highest stardard with the best of everything. Warm and snugg inside and if the weather allows some outside time then there is plenty of space for little ones to play without worry while the adults relax in the sitooterie. Kelso is only a short drive with plenty of places of interest to keep you busy. This extends to the rest of the borders and also Northumberland is just on your doorstep. On the whole a perfect place to spend some quality relaxation time. We arrived just as the light was fading, and there to welcome us was the porch light, and the kitchen light shone out it's warm welcome. When we opened the front door we were greeted by a warm kitchen and a tea tray set with teapot and cups and by it's side under a meshhood a plate of homemade rock cakes.To finish the setting was a vase of freshly picked wild flowers. We quickly unloaded while the kettle boiled. Our hostess Sue, arrived to see that we had all we needed and we sat down to enjoy our feast. We were abundantly supplied with everything one needed and more! It was better than home from home. We just spent four weeks at beautiful Millsyde and were absolutely delighted. We lacked for nothing. The house is brand new and fitted with all possible amenities. Just bring clothes, everything else is provided, you'll feel right at home! The scenery is just wonderful and the proprietors are very helpful and make sure everything is at its absolute best. From the quiet Millsyde one can take easy trips to multiple attractions like Castle visits, boat tours, hikes, look-out spots, various gardens and historic sites (i.e. Hadrian's Wall is just 45 minutes away). Edinburgh and all its museums/theaters etc. is an hour's ride away. Wonderful charming cottage! All was perfect and Sue very kind and helpful. And her scones unforgettable! The region is rich in history and interesting places to visit. We definitely recommend it! Sue and Henry have made a masterclass in renting out their holiday cottages. The standard and quality of their cottages is exceptional with stunning views and peaceful location. The very warm welcome we received from Sue started our holiday off to a fabulous week and all the little extras provided in the cottage made our holiday to the Scottish Borders a trip to remember. We hope to return in the future and would definitely recommend Hendersyde Farm Cottages. We have visited Hendersyde before and had a wonderful vacation yet once more. Nothing was amiss in the cottage, the area is beautiful and offers multiple things to do and see. Plus the farm life can be observed up close thanks to the Beck family! We had fantastic stay in March 2012. We had read lots of great reviews so we had high expectations. Our expectations were exceeded through out our stay. Sue could not have made us feel more welcome from the moment we arrived. The cottage was spotlessly clean well kitted out with everything you could possible need. We were allowed to look around the farm and the kids got a chance to feed the newborn lambs. Great weekend and will definately be back. Expect a warm welcome from Sue. The cottage is very clean, comfortable, very well equipped and peacefully situated. It is very convenient for Kelso and is ideally situated for visiting the many attractions of the Borders and Northumberland. Edinburgh is also within easy travelling distance. Birdwatchers will enjoy good numbers of a variety of species around the cottages and farmland. Always a warm welcome here. Well equipped cottage with central heating and good cooking facilities plus free wi-fi which is really handy. Make up of party: Couple, with guest for one night. Make up of party: I stayed this time on my own with my dog. I felt totally safe and comfortable on my own. . real chill out time. will be back again. This is our second visit to Hendersyde but first time of staying in Southsyde (we previously stayed in West Cottage). Both Cottages have exceeded our expectations with their well stocked kitchens, warm & beautiful rooms, the open fire and of course the homemade cakes on arrival Mmmmmm. Not to forget the lovely friendly welcome from Sue, Henry and the dogs.Plenty of space for a family both in and around the cottages/farm and with the opportunity for the kids to see a working farm. We are already booked again for June and can't wait to return. Make up of party: 3 adults, 1 child & 1 toddler. Make up of party: 1 couple with a small dog who loved the enclosed garden. We have visited the borders many times so know the area. This location was perfect for us. Rural enough for walking the dog and near enough to the busy town of Kelso for a cappacino or a beer. The cottage was home from home and everything had been thought of. Lovely magazines, books and DVD's to peruse. Cosy rooms and a great fire. Sue is extremely helpful. Really apprciated the homemade mince pies and fresh eggs on arrival. I forgot my mobile charger and it was sent home before I had to ask! If you like to get away from the crowds enjoy the countryside and want to feel as if you are at home then this the location for you ! We had a lovely stress free ,warm and cosy week in the cottage.The welcome we received ,tasty homemade cakes and fresh eggs and clean cosy cottage were a great indication of the week to come.Shopping for supplies is easily done in Kelso,plenty of places for nice coffee and cakes in Melrose,St Boswells and so many walks to suit all abilities there is plenty to do whatever the weather.We look forward to returning to see the farm in the springtime. Stayed a week in East Cottage on Hendersyde Farm. Super welcome from Sue - tea in the teapot, table set, rock cakes and flapjack and half a dozen eggs, Sue even put the kettle on (it didn't fit). The cottage was very well equipped and came with plenty of coal and kindling for the open fire. Stunning views from all windows and we were told we could walk anywhere on the farm which we did and saw the resident deer and fawns. Some good walks locally, along the Tweed watching the salmon leap etc. Good central location for other border towns and also the coast St Abbs Head was very enjoyable. Sue made us very welcome and the cottage and surrounding area were peaceful with beautiful views. Lovely places to eat out in Kelso, especially The Cobbles and Kwans. The people were also very friendly. We hope to return next year. Make up of party: Family, all adults. We had a fantastic break away from it all and could easliy have stayed longer - we will definitely be back. The welcome was warm, with fresh cakes and eggs and a pot of tea. We stayed in the middle cottage, which was cosy and comfortable. The views are amazing and the walks around the farm are an excellent way for childern to explore. It was lovely being able to let children just run around, disappear and have the freedomg to be children. We will be back, and thank Sue and Henry for helping to make a lovely holiday. Stayed in East Cottage which benefits from a lovely garden to sit and relax and enjoy the fantastic view of the fields, and your own fruit to enjoy. The ability to leave your front door and walk around the farm and wander down to the River Tweed is very enjoyable and the welcome from Sue is second to none. Don't know if it was the wonderful warm welcome from Sue and Henry the owners, with welcome tray with fresh rock buns and eggs, the very clean, well equipped and uniquely furnished house, the beautiful private garden with an abundance of flowers and fruit trees, and bushes or was it looking out onto a beautiful wheat field first thing in the morning and the patchwork quilt which is the Borders,the lovely walks from the house which we enjoyed or the downie soft bed that we loved, just everything that makes this cottage the perfect holiday home that you don't want to leave and can't wait to come back to again and again. These are lovely cottages. We rented East and South cottage as a family party and everyone was happy. Sadly we were only there for three nights as we would all have loved to stay longer. The cottages are very comfortable and well equipped, and East Cottage has a lovely garden which we took full advantage of to have an alfresco lunch and later a barbecue for 12. We had glorious weather which was a bonus, but even in bad weather the cottages would have been a joy to stay in. Sue was a superb hostess and we really enjoyed the fresh eggs and rock cakes on our welcome tray. Excellent location, brilliant views, lots of home comforts and just wish we could have stayed longer. Highly recommended! We spent an idyllic week in the West Cottage at Hendersyde Farm. With a 22m old toddler, life on the farm was one big adventure - he had lots of sheep to see, tractors to stare in awe at (and sometimes sit on), and toes to be licked for 4 delightful puppies. For the 2 grown ups, there were lots of things to do nearby - Floors Castle (Kelso) and Berwick on Tweed were arguably our favourites. We also visited Conundrum Farm which has a Farm Trail full of friendly animals to meet (and feed), and indoor and outdoor play areas. Overall, a fun and relaxing holiday with outstanding self-catering accommodation. We thoroughly enjoyed our stay and can recommend it unreservedly. We stayed in the middle cottage and enjoyed an idyllic 9 day stay. This has to be one of the best self-catering cottages we have stayed in: from the welcome from Sue, the home baked rock cakes on arrival and just the general ambience and comfort of the place including a fantastic mattress - everything was there to make for a truly memorable and relaxing holiday. We particularly liked sitting out in the sun-trap garden enjoying the views and the butterflies! Our 2 children aged 8 and 10 were very happy there too and really enjoyed our walks round the farm fields towards the end of each day and my daughter in particular was very taken with the puppies! There is loads to do in the area as well - I don't think I've even been to an area of Britain with quite as many country houses and castles to visit - and you're not too far away from the coast either. I would highly recommend Hendersyde and we hope to return ourselves in the near future. Perfect stay once again. You really can't fault this accommodation. Sue really goes the extra mile. Stay and you will not be disappointed. 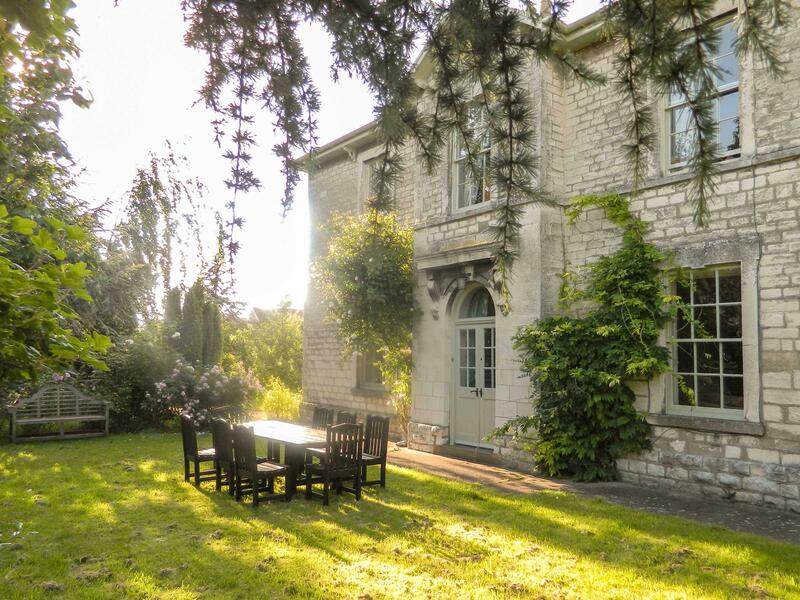 The cottage is set in a beautiful location with excellent views from the garden. We were surprised how spacious the cottage is considering we rented the middle 2 bedroom cottage for ourselves and our baby son. The cottage has a traditional farm and country feel to it. It was clean, tidy and very well stocked with everything we could of needed. Sue gave us a great welcome and it was clear she was genuinely working hard to ensure we had a good stay. We used the cottage as a base and went out in the day sightseeing. We spent the evenings in the cottage, my Husband enjoyed feeling relaxed in the evenings in what he felt was a home from home without thinking he should be painting the skirting or mowing the lawn! Make up of party: Family - 2 adults 1 baby. A wonderful home from home in the haven of beautiful and peaceful countryside. Coming from the busyness of Glasgow we had a wonderful relaxing stay and plan to return soon. We were in East cottage and the gardens were amazing, filled with flowers and SO many fruit trees and bushes. Sue could not have been more helpful and the cottages were equipped with everything you could wish for. The dogs also had a great time and the little kennel allowed us to leave them on a couple of occasions without having to worry about taking them in an over warm car. It is ideally situated to explore the borders & neighbouring counties and also northern England. I highly reccommend Hendersyde and doubt if you could get better!! 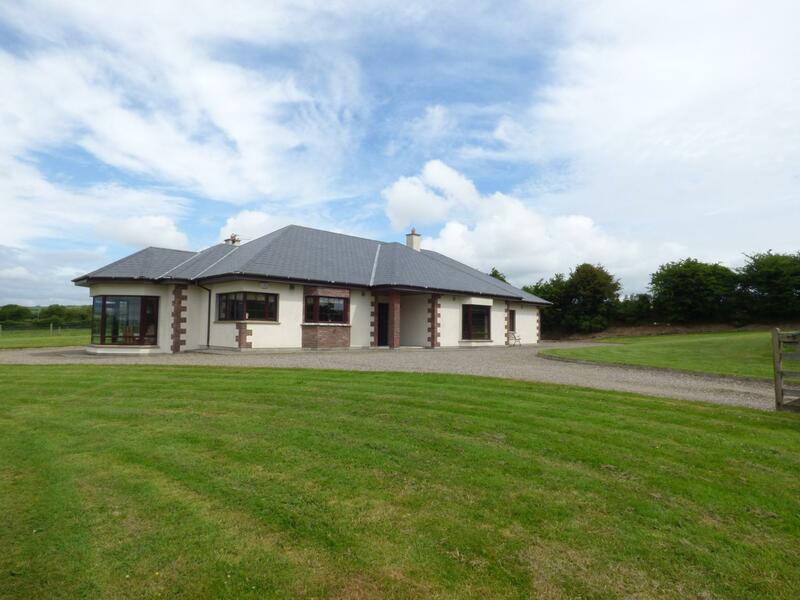 Extremely warm and friendly, beautiful setting overlooking farm, even if weather not great. Sue and Henry extremly helpful & great hosts. Lovely Cuppa and biscuit and fresh eggs on arrival. Everything that you could possibly require was there, and extremely confortable. Make up of party: We were touring from Australia just the 2 of us, and we stayed for 4 days, but wish we could have stayed longer, as it was just so comfortable, and beautiful garden setting at East Cottage. Excellent week in great weather. Cottage was very comfortable and well equipped in a location that was ideal for us who enjoy walking and wild life. Make up of party: Me, my husband and in laws. Warm and cosy cottage, very well equipped and very clean. The owners are on hand if you should have a problem or querie and are very helpfull. Very relaxing place. We had a wonderful four day break at Hendersyde. Sue provided such a warm "Borders" welcome with her infamous rock cakes and a tea tray made up on arrival. Southsyde cottage was very comfortable and there were some very nice touches; the open fire was ready to light on arrival and we felt right at home with the fire roaring and relaxing with a glass of wine and a good book. Felt very relaxed and wanted to stay longer. There are good walks from the cottage and the dogs were happy in the outside kennel until they dried off. Will be coming back to the cottage very soon - its a dilemma as we want to tell everyone about it but do not want to be disappointed if they get too booked up! Would thoroughly recommend them and Sue is such a wonderful hostess. Make up of party: Couple in their 40s with two spaniels. Apologies - unintentional typo in my review - meant to say famous rockcakes not infamous. They were devoured in minutes!! We arrived again to the usual excellent welcome from Sue. This was the fourth time we have stayed since 2005 and we keep coming back to enjoy the beautiful West Cottage, which is able to accommodate our dog too. Since our previous visit a couple of years ago, the kitchen has been refitted and this looks lovely. The cottage is very homely and warm, particularly with the benefit of the open fire and comfortable furnishings. Sue is always most helpful at providing anything you need. Whilst we don't have children, reading the visitors book it is clear that children are welcomed to help out around the farm if desired. The setting is great, with lovely walks within easy access - especially along the banks of either the River Tweed or River Teviot, plus other attractive sites. I could go on and on about how much we love visiting...it really is a home from home !! We stayed in one of the Hendersyde Farm Cottages over Christmas. We arrived on Christmas Eve (minus 11 outside) to a very warm welcome. A basket of eggs, tea, milk and the famous rock cakes (which were delicious)! We soon had the open fire lit and battened down the hatches for the weekend. This is a delightful place to stay: woodpecker on the bird feeder, home made soap, Christmas tree, lovely walks, and only a short hop in the car to Kelso. And, if you're feeling the need for some city sights, Edinburgh is only an hour's drive away. We were even able to pre-order a meal (lasagne and chocolate roulade) which was waiting for us in the freezer. What more could anyone want! Make up of party: Me, my sister, her husband, my grown up niece and nephew. We had not stayed at Hendersyde before, but we have already booked a 2 week stay for later in the year! The cottages are lovely and the welcome is exceptional. There is loads to see and do in the area - even in the snow and slush and being on the farm, with fantastic views, wildlife all around and lots to do locally is fantastic for a break. Sue even managed to find a sledge for our little boy to use! Our third visit to Hendersyde Farm cottages and it just keeps getting better. I doubt we would ever run out of things to see/do in Kelso and surrounding area. Sue and her lovely family were as welcoming as ever and, the cottage, as cosy as ever. We will planning or next trip very soon. This is a farm cottage in a quiet, unspoiled location yet close to Kelso and its facilities and ideal for fishing the lower Tweed. The owners live in the farmhouse nearby which is ideal if you have any problems. Make up of party: Just the two of us stayed (and got a discount for using only one room)but the cottage would comfortably accommodate four. The bedrooms are upstairs, so it wouldn't suit the infirm. an exceptionally welcoming cottage in a peaceful farm location. A row of two bedroomed cottages close to the farm within walking distance of river tweed. Sue is a fantastic host providing the most delicious home made cakes on arrival. we have been twice - both times in november - and the cottages are sparkling clean, full of high quality kitchen implements and crockery with lovely linen and duvets upstairs. Sue has gone to great lengths to make this a warm, cosy and totally comfortable home. we would and will go back. What more can you say. 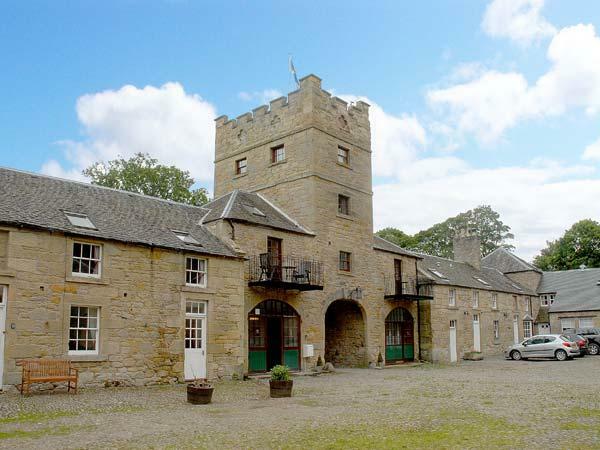 Hendersyde farm and cottages is located between ednam and the river tweed and is only 2 miles away from kelso town. It is very peaceful and the views around Hendersyde are spectacular. Make up of party: Me, My Mum, My Dad and My two Border Terrier Lakelands, Flint and Nell returned to East Cottage for our 18th year! It's Beth's home. This is a truly lovely cottage, which we have stayed in on many previous occasions. By careful planning & design, the owner, Sue Beck, has retained all the character of a farm cottage but with the modern comforts of central heating, comfortable, tasteful, high quality furniture and furnishings, a well equipped kitchen, TV and DVD player etc. Also available is a vast amount of information about places to visit and things to do. And if you really must bring your laptop with you, there is also free internet access! Booking and payment via an excellent website is simplicity itself. But two other factors make these cottages truly outstanding. One is the fantastic location with magnificent views and the other (and most important)is the wonderfully warm welcome that you receive from Sue (complete with home baking, free range fresh farm eggs and a week's worth of tea, coffee and sugar!) Nothing is too much trouble for Sue to make your stay enjoyable. The Scottish Borders is a unique area - only an hour's drive from Edinburgh, yet completely rural with several small attractive towns such Kelso, Jedburgh and Melrose all within easy reach of each other; Lindesfarne and St Abbs Head can be reached without difficulty; beautiful scenery, lots of walks on hills, forests, riverbanks and so on; fishing; golf; a wealth of historic sites and, if stately homes are your "thing", there are some really magnificent ones to chose from. We cannot speak too highly of the cottage and this wonderful part of Scotland. Make up of party: Couple with daughter and grandchild (and other daughter, husband and three grandchildren in adjacent cottage! Lovely warm, homely cottage - every detail thought of in a fabulous setting. Sue and Henry were so friendly and helpful they made the stay even more enjoyable. Was particularly impressed that Sue had taken the time to look out leaflets particularly relevant to us and our children - and all of her recommendations were super. We have stayed in a lot of cottages but the entire package at Hendersyde can't be bettered. We're heading back in three weeks! A lovely part of the country and very nice farm cottage in a peaceful spot near Kelso. The cottage was very well appointed and the owners kind and welcoming. We had a great week and so did the rest of the family. Charming welcome from both owners, so many thoughtful touches we felt as welcome as old friends although it was our first visit. The cottage was spotless, cosy and convenient for visits to border towns. We had a meal delivered by Suzie too,Delicious! The cottage was very clean and very well equipped. The views around the cottage are beautiful. There are good walks from the door and you are within driving distance of lots of lovely places, including the coast. We would definitely go back. Make up of party: couple and two children. We stayed in the east cottage, this being our 5th visit to hendersyde. Sue & family always make you so at ease that it is like home from home. The cottages are so homely and the views are stunning, with so much to do in the area for all ages. The whole holiday was excellent from Sue's rock buns on arrival to the long walks area the farm. If in area would recommend a trip to Melrose just for the food at Russell's tearoom. The property is fairly compact but beautifully situated and presented and Sue always gives a wonderful welcome. Make up of party: we where with 2 friends. If you seek a place to UNWIND this is it. Southsyde is furnished as a home and Sue's welcome genuine. Use her comprehensive guide to the area. Walk the farm tracks between hedges, listening to the wind soughing in the trees. A short walk to the river Tweed where we sat for hours on a secluded bench waiting for fish to jump, watching the birds, cattle on opposite bank or distant fishing boat - remember binoculars. This agricultural landscape full of cows and sheep teems with artisans. Book a Tweed guide for a day's nymphing for trout and grayling; commission hand crafted door furniture from the blacksmith at Newton Don; feast on robust scones and cakes at any tea room; visit St Abb's Head on a fine day for the views, a shot of pure ozone, and the Woolfish knitting shop; follow the river at Philiphaugh to catch salmon leap, includes a child friendly exhibition; grand homes to visit aplenty including the royal yacht Britannia; pack your cold box to bring home beef from Hardiesmill; select a driver for a visit to Glenkinchie for generous tastings. Free parking in Kelso is a treat for southerners, a national trust garden in Melrose inspiring, Cragside an hour away worth the trip + the shoe shop in Rothbury high street, still there after 16 years. Make up of party: Husband and wife newly escaped from the tyranny of parenthood! Traditional Borders farm cottage. Very cosy & homely in fabulous situation great views, very peacefull. Ideal for dogs, though garden would not be secure for very small dogs. Plenty of dog walks from the cottage. I know the Borders well & was just having a few days relaxation but there are endless things to do & places to visit. There is loads of usefull information available it the cottage if you are new to the area. Sue was so friendly & welcoming. I would highly recommend Hendersyde especially to those visiting the area for the first time. 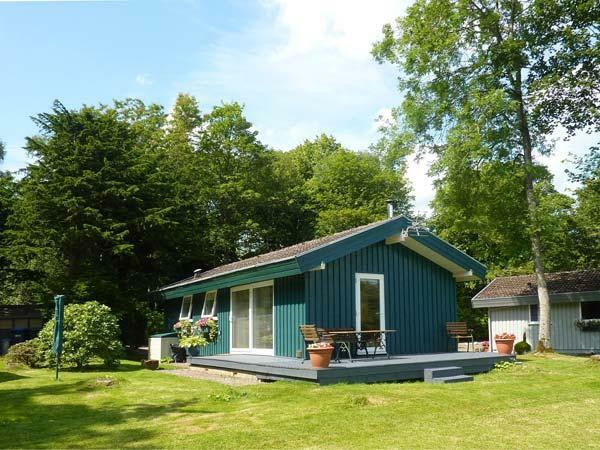 Comfortable and well-equipped farm cottage, very handy for Kelso and from there easily accessible to lots of attractions in the Border region. Sue, the owner provides loads of useful local information and it was lovely to arrive to a plate of home-made cakes, a basket of eggs and a jug of milk. Good wi-fi connection was a welcome extra. We stayed in East Cottage which has a delightful garden from which we could help ourselves to fruit. The elevated aspect of the cottage was lovely. We all slept so well in the airy bedrooms. So well equipped,especially the kitchen. Super home-made rock cakes on arrival.Definitely want to return next year. We loved visiting all the local butchers/bakers and had great days out-eg Coldingham Bay, Smailholm tower. Make up of party: Two adults and one 10year old. Our third visit to Hendersyde farm was to us the same as the two previous visits 'time out' from the rat race. The cottage was as always, immaculately clean, very comfortable, with everything you could think of to make it a perfect break. The difference this time when we left was that we had the distinct feeling we were leaving behind 'friends' rather than just 'cottage owners'. Sue was as welcoming as ever and when she dropped by to see us with a welcome pack we were already set up to bbq, relaxing with some home made sangria. The dogs were already settled in and snoozing in the sunshine, it was just picture perfect and it was impossible not to feel like 'old friends'. 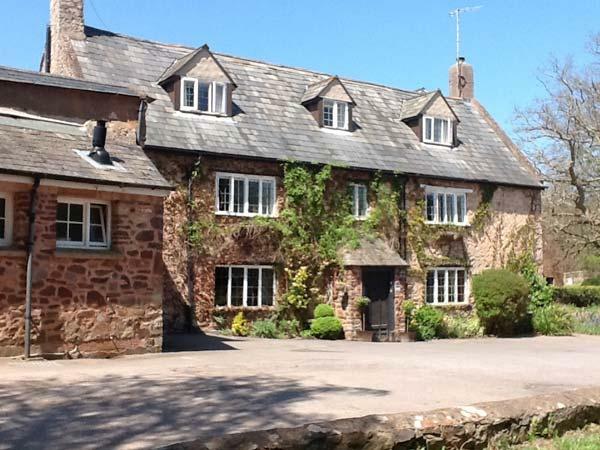 We whole heartedly recommend Hendersyde farm for a wonderful, relaxing break. (even if it means we dont get back as often as possible because they will always be fully booked!! )We have tried many other places but always come back to Hendersyde, that should speak for itself. Simply marvellous!!!! This was our first visit to Hendersyde Farm and we couldn't have picked a better place to stay with our young baby. The cottage was well equipped for staying with a young family and we were made to feel very welcome. 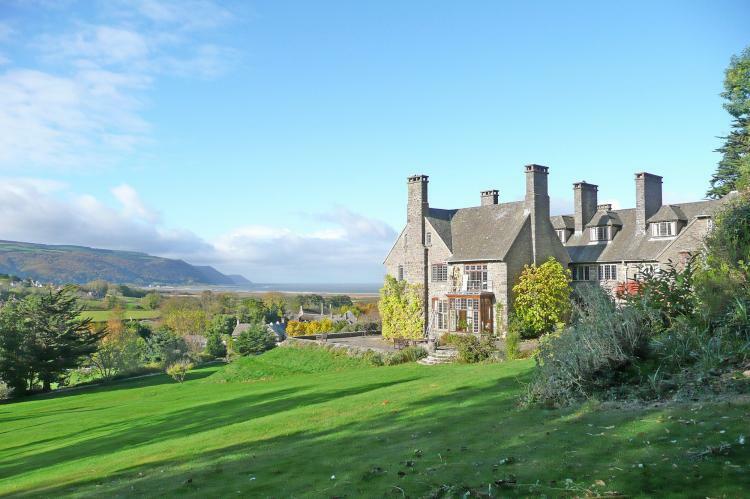 The location is superb and the views from the garden stunning. We will definitely return! Our first time in the Borders and we loved it. The cottage was lovely, very quiet and peaceful. We have never stayed in such a well equipped cottage before and very clean. It was lovely to do self-catering without the hassle of taking bed linen and towels and all the other odds and ends you have to think of. They were all there. It was great having feather pillows and duvet as well. We will definitely go again. Sue was very welcoming and very concerned that everything was alright. Lovely lady. The area was very beautiful with such a lot to see. It caters for all tastes - countryside, the coast and Edinburgh not too far away. Our second vist to Hendersyde Farm Cottages - West Cottage - this time. Absolutely perfect. The cottage, the farm and Sue are so welcoming. We were lucky with the weather and enjoyed chilling out in the private garden in the evenings, after our sunny days exploring the beautiful borders. We look forward to our next visit - hopefully later in the year. A lovely cottage, very clean and well furnished. The welcome was excellent, fresh flowers, fresh eggs and home baked rock cakes. We enjoyed these with our afternoon teas, and the eggs were delicious for our breakfast. The owner, Sue, is very friendly and gave us excellent information about local attractions and walks in the immediate vicinity of the cottage, with maps provided. We were there for golf at the Roxburghe, and racing at Kelso. The former was an easy 3 mile drive away, and the latter was even closer, just a brisk 40 minutes walk from the cottage. We also had a meal at the Roxburghe, which was delicious,and well worth the set price of £39 for 3 courses. Staff also very friendly. Same can be said about the racecourse, where everyone was welcoming and friendly. Overall a great experience and would definitely go back again, in order to explore the local area in greater depth as we did not have the time to do so in the short space of time available to us. The cottage was also one of the best we have hired in the UK. Make up of party: Family of 3 adults. We stayed at Southsyde (the middle cottage) which was warm and cosy, and we were very impressed by the good quality furniture/bedding/kitchen appliances - in fact everything! Sue made us very welcome and gave suggestions for local walks which we enjoyed. Kelso is a lovely country town with bustling independent shops and free parking. We enjoyed sitting in the garden too which was filled with the scent of lilac which was looking at its best. The rural farm views are very relaxing. There are lots of interesting places to visit in the locality (The Hirsel, Mellerstain House, Floors Castle - to mention just a few) which makes Hendersyde a fabulous holiday location. Also the fresh rock cakes on arrival were delicious! Thanks Sue. Make up of party: Myself and my husband. Great cottage, clean, warm and very comfortable. Everything you need for a fishing holiday, plus internet access! We cooked in the well equiped kitchen every morning and night, and even watched bats in the garden at dusk. Rock cakes are excellent (as good as my Granny made) and the eggs were great as well. Make up of party: Stuart, Tom, Ben and Molly the terrier. Hendersyde is idyllic, we love it! We wouldn’t consider looking for anywhere else to stay in the borders now…we’ve found our perfect getaway! The cottages are ideally placed for exploring all the borders has to offer. There is so much to see and do that we still plan to return here for a holiday at least once a year and this was our 4th trip! The cottages are equipped with everything you could possibly need, a real home from home but with a few extra special touches from Sue, like the home baked rock buns, basket of fresh farm eggs, cut flowers, I could go on! The views from every window are stunning and the cottage garden is a delightful place to restfully take in the views and soak up the sights and sounds of the countryside. On this visit to Hendersyde we saw deer, heron, hares and numerous bird life all just in the adjacent field to our cottage. We highly recommend Hendersyde without any hesitation. Sue and her family definitely go that extra mile to help make your holiday special. We are all suffering post Hendersyde blues now…even our dog seems depressed to have left behind the beautiful borders! What can we say about East cottage except the accomadation was superb, very well equiped and spotless. We managed to see otters in the river Tweed on our second night a real treat. 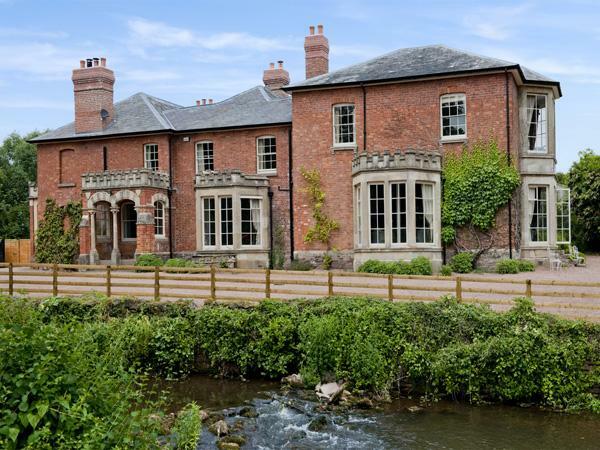 The area is of outstanding beauty and offers walks and old battlefields villages and the sea close by etc, we cannot rate this property highly enough. The owner Sue is absolultly delightful, please stay there!!!! 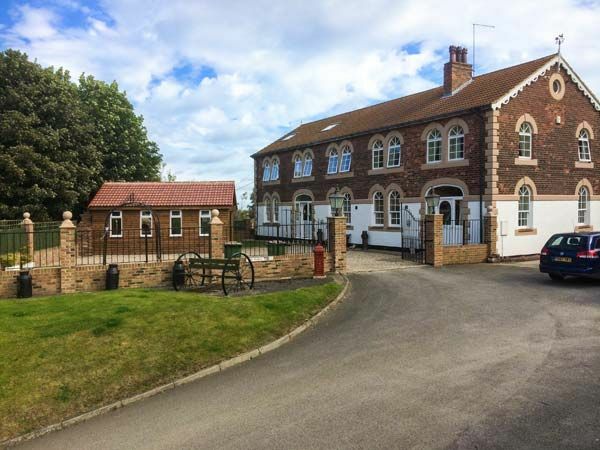 Make up of party: The cottages offer great accomadation for single, married or parties, would love to rent all 3 cottages and take the whole family. We visited Hendersyde after a recommendation from a friend! Wow!!!! We stayed in East cottage, The cottage itself was of the highest standards we have stayed in, (not a spec of dust in sight!). The bed linnen was so crisp and smelled wonderfully of fresh air! The Kitchen was very well equipped, having everything you could possibly need (And more). The Garden beautiful as were the views. Our daughter loved looking around the Farm and walking along the country lanes:O) Sue and her family are the perfect hosts (Thanks Sue Amy loved her Little piggy bedding:O). We hopefully will go back again in the summer but it not already have New Year booked and can't wait. PERFECT! Make up of party: Me, My partner, my daughter and my mam. I would not be able to add anything to the above almost totally appreciative reviews, other than to say that our (wife and self) circumstances were different from all tha above in that we were forced to leasve our house in nearby Kelso because of a serious domestic fire just after Christmas, and have done several 'flittings since then, including the whole month of April at Southsyde cottage. This was a godsend, in that we enjoyed a month of peaceful, therapeutic restoration in this lovely cottage (other two equally good I'm sure. I endorse all the areas of recommendation mentioned above - in particular the friendly, cheerful welcome from Sue (complete with mandatory fresh eggs, easter eggs and high quality rock buns,and (in his quieter way) Henry. I would just like to mention two things. First, a very special evening during our last week. We retired upstairs to bed (one of the most comfortable beds we've ever experienced)to be met by a wonderful raft of mellow golden moonlight illuminating the whole room. All the cottage's traditional features mentioned above were glowing in this wonderful light tht evening. We appreciate that Sue cannot 'lay on' such conditions for all her guests - but you might be lucky! The nother point is to emphasise the very special,beauty of this active,lively well-maintained Borders farm, lying, as it does 'twixt Eden Water and the Tweed. Although only a few miles from Kelso, Hendersyde iks deep in the country - as beautiful an area as anywhere in the Borders - and that's saying something! - gentle, peaceful landscape, that first-time visitors are sure to want to return to. Very special memories for us. Very well equipped and superbly comfortable cottages on working farm. Beautiful views. Owners extremely welcoming and renters encouraged to see what is happening on the farm - lambing in our case - wonderful! My only hesitation in recommending the cottages is that we might not be able to get in for our next trip if they are all booked up! Cottages ideal for single rental, or all three cottages for family gatherings. Make up of party: Couple, plus grown up daughter and her friend. We spent wonderful 14 days at Hendersyde and definately want to come back. Nothing was lacking and we felt very welcome. Our kids loved watching the lambs and were allowed to help every day. And there are lots of things to do in the Borders everywhere you go. So there is something for everyone! Make up of party: Family of four. Can be used by anyone! I could live here..move in and need to add nothing. All home comforts supplied with a big roaring fire which was appreciated in February. Peaceful with Lovely views with lots of Deer and Hare to see. Safe a secure garden.Yet close to Kelso and main roads for travel. I will be back again. Sue, thank you so much for the welcome. Beautiful cottages in a perfect location for our fishing trip on Henderside. Lovely comfy beds with duckdown feather duvets!Nice and warm with a cosy open fire. Lovely welcome from Sue who also showed my 3 little boys around the farmyard - lots of baby lambs, they even got to feed them! The boys loved it. Would highly recommend. We have just enjoyed a lovely 4 days at Hendersyde Farm. Sue was on hand to greet us with a smile despite being busy lambing! The cottage had everything we needed, lovely sitting room with an open fire, tv and dvd, well kitted out kitchen and very comfy beds! Even a basket of fresh laid eggs. Sticks and coal were provided in an outhouse just outside the back door so no trailing about. Sue invited the boys to visit the farmyard to see the lambs and other animals whenever they wanted and they were thrilled to be able to name one of the lambs! We have stayed in many places around the Kelso area but would heartily recommend Hendersyde Farm. Great cottage and very friendly owner who made us feel very at home. Fantastic countryside with great walking for our dogs. Make up of party: myself and a friend with our two dogs. we were attending a local dog training course. Lovely stone cottage - one of three, we had East Cottage. All mod cons (except dishwasher which I missed!) but everything else needed to enjoy our stay. Sue was great, very helpful and always around if needed. She's even baked some rock cakes for us and left some fresh eggs. Cottage has all you would want - very comfy beds, plenty of hot water, excellent central heating (it was -5 some nights with heavy snow outside!). The coal fire in the living room was fab and there was no shortage of coal. The kitchen had all the bits and bobs you might need. We brought our 2 dogs and they loved it - there are lots of excellent walks. The cottage is barely 2 miles from Kelso, so easy to get to the shops or the pub! Make up of party: We had our daughter and her 2 cousins (all adults) and they loved their stay. There was plenty of room for us all. Wonderful cottage, very good communication from Sue prior to stay, lovely warm welcome on arrival with freshly baked shortbread. Cottage had everything we needed, from log fire, plenty of bedding, baby cot, microwave to sterilise bottles in ... Cottages in very private setting; close enough to the farmhouse to ask owners when needed anything but not overlooked. Great views, nice garden with seating though weather not the best! Would definitely recommend and would love to stay again. This was our 4th stay at Hendersyde cottages, this time in East Cottage but we have also stayed in Southsyde. The cottages are very comfortable and cosy with just about every kitchen gadget you can think of in the pantry! On previous visits during Spring/ Summer the children have enjoyed feeding the lambs, seen a newly-born calf, watched baby chicks grow and Sue is always around to explain/ show them round the farm. This time we just relaxed in front of the open fire! The cottages have their own enclosed gardens and there is also a large grassed area for young children to play safely. Perfect for a relaxing break on the farm with plenty of interesting local attractions/ visits too. We had our first visit in Feb 2009 and our second stay at Hendersyde over the xmas period 2009 and have no hesitation in recommending it. Sue is very friendly and helpful and has put in every effort to ensure Hendersyde is home from home with everything you need. My husband and I have stayed in many holiday cottages over the years and Hendersyde is the only one we have returned to...why ? because it is in our favourite location the Borders and is simply the best equipped and although we usually opt for a remote detached place, Hendersyde feels as peaceful and remote despite having neighbours and is VERY dog friendly which is highly important to us, as a break in the countryside without the dogs is just wrong! They love it here! Really I shouldn't being telling you this as we might struggle to book again! We had a fantastic long weekend at Southsyde Cottage which had everything and more we could have hoped for. The cottage is very cosy (and surprisingly large). The wee private garden was a treat and we were lucky to be able to sit out on a rare sunny Sunday morning watching the birds come for the nuts that we had topped up for them. The area is lovely and we will definately be back for a week to explore more. The welcoming town of Kelso town is right on the doorstep (though from the cottage it feels like it could be a million miles away). We also spent Saturday at the Kelso Races, which was thrilling, even though we lost!!! On our visit, the owners had taken a short break (well deserved I'm sure), but Sue had been in constant contact with us before we arrived, so other than not meeting the lovely lady, we felt very welcomed at the cottage with everything ready for us; tea tray all set, including cakes, milk in the fridge and fresh eggs in a basket. And, a lovely birthday card from all at Hendersyde. Thanks guys - we will be back very soon. Make up of party: 2 Couples. We are not the wordy type but this cottage was very homely and comfortable. We intend to go back again and will recommend to other fishermen. We first stayed in West Cottage in 2007 and have returned every year since. Indeed we have been there twice this year and have already booked for next year. The things that we appreciate about the cottage are, first & foremost, the warmth of welcome from Sue Beck; but also the cottage itself is warm (central heating & coal fire if needed), clean, comfortable and well equipped. The situation of the cottages is superb, standing high with fantastic views in all directions. The atmosphere is one of total relaxation. You feel cut off and completely "in the wilds" yet it is only 10 minutes drive from the town of Kelso. The Scottish Borders is a fantastic area with country, forest and hill walking all within easy reach of the cottages. Kelso is a most pleasant town - not too big but with shops for virtually all one's needs. But there are also many other very pleasant towns - Melrose, Hawick, Peebles and Galashiels (to name but a few) all within easy reach of each other. There are interesting historic sites and stately homes - again all within easy reach of the cottages. We had THE most wonderful stay at Hendersyde Cottage. The cottage is set on a large crop and stock farm near Kelso in the Borders. We had two large bedrooms, lovely, spacious kitchen and living room, private outdoor sitting area and parking at the door. Our host, Sue Beck, was by far the most gracious person we met on our five week trip. Sue made us feel welcome and saw to our every need. We were welcomed with warm baked scones, and milk and eggs in the refrigerator. Flowers were on the table, fresh towels in the bath. The view from every window was the rolling farmland and we could walk to Kelso and the racetrack along the farm lane. Thank you for a wonderful visit and we will be back. Make up of party: Husband and wife - though the cottage was large enough for two couples. We booked Hendersyde Farm Cottages as the grand finale treat for our Scottish holiday and it really delivered! Using the efficient booking/deposit online from Australia was a breeze. Sue made us feel so welcome..fresh farm eggs, rock cakes waiting in a cottage that was so perfectly furnished and equipped that we sometimes felt we had moved into someone's home. The location is so peaceful. We took the map provided and strolled through the fields to the river in perfect surroundings. The proximity to Kelso town is so convenient. We bought local goodies and prepared our own meals. All the rooms were comfortable with touches here and there of thoughful additions. We loved the magazines and books, and lounging around . Even though there were other people in the cottages next door, you couldn't hear them. We'd love to go back. This was our first visit to the cottages and we were greeted with a very warm welcome from sue, thank you for the flapjacks. The cottages were very well equipped and homely. They were great for relaxing or as a base to explore the surrounding area. I would recommend bamburgh castle,the Scottish aviation museum, eyemouth (boat trip). Best day: walking along the Tweed Loved the Borders, loved the cottage. Thanks to Sue, we'll be back. After a long gruelling trip from Canada we finally arrived at Hendersyde where we received a very warm welcome from Sue. We have stayed at numerous self-catering cottages over the years, but we have to say this (West Cottage) was undoubtably the very best. Extremely well appointed, clean, spacious and cosy on those late summer evenings. We found the location well suited for visits to North Northumberland, Glasgow as well as the Border Country with Kelso, a beautiful market town just a stone's throw away. We would strongly recommend a visit to the Teviot Smokery, where they have a wonderful restaurant with great food, river walk and a fantastic gift shop and high end grocery department, pricey, but well worth a visit. On arrival we had a warm welcome from Sue - the rock cakes were delicious! We stayed for 2 weeks in West cottage and thoroughly enjoyed our stay. The wi-fi was just right for our eldest to keep in touch with friends, while we fully relaxed, watching the birds including woodpeckers feeding in the garden. There were lovely walks around the farm and the surrounding locality. Our youngest fell in love with Mint, one of Sues dogs. Although we had mixed weather, it was well worth the travel from the Midlands to stay at the cottage. There were plenty of books and information available in the cottage. We intend to return and would fully recommend the cottages to anyone. We booked late for our annual golf trip and were a little unsure about having a cottage and self catering, however we have all agreed this is the way for future trips. From the warm welcome from Sue, and, we have to agree with other contributors, the rock cakes and eggs, this was a thourougly relaxed and enjoyable weekend. The cottages are extremely well placed if you are a golfer, putting all of the Border courses in easy distance. The cottage was warm and cosy and extremely well equiped - more pots and pans than even three men on their own can get through. Some great places to eat in Kelso and the surrounding villages, (recommend thr Cobbles Inn in Kelso) and some of the frindliest taxi drivers weve ever met! This has been my 3rd visit to West Cottage, I shall be visiting for a 4th time in early Oct. Would I keep coming back, if not fully satisfied + happy with the self catering cottage??? Definitely NOT. The cottage is warm + welcoming and Sue could not be more helpful. The rock cakes, on arrival, went down a treat. I recommend the Scottish Borders + Hendersyde at every opportunity. Kelso is a peaceful + pleasant town as are the surrounding towns. If you like walking and are interested in Scots/English history - this is the place for you. Booked East Cottage 18 months in advance so we could be as close to Kelso as possible. Well we came up trumps, with Kelso only 2 miles down the road the cottage was gorgeous, warm cosy and comfortable with everything you could want, Sue's throught of everything. The views to the front of the Northumberland Cheviot mountains and to the rear Humn Castle and beyond were magnificent. The peace and quiet was wonderful. We had a great time exploring the area by foot and car. Sue providing plenty of maps, books and leaflets on the area. We stayed at Southsyde cottage in August 2009. Sue gave us a warm welcome and some delicious rock cakes. Although the weather wasn't great we had a very enjoyable stay and the cottage was very cosy.There is a lot to do in the area and without exception everyone in Kelso was friendly and helpful. The local walks are very relaxing but if you feel like something a bit more challenging try a walk up Yeavering Bell. Sue also advised about how nice Saint Abbs is and we would endorse that. When we return we would hope to have the same lovely peaceful relaxing environment with perhaps a little more sun! Many thanks. We spent two very relaxing days at Hendersyde and are determined to come back for a longer break. Beautiful walks straight from the front door and a very warm welcome from Sue. We stayed in West Cottage. It was very clean and comfortable and we received a lovely warm welcome from Sue. Lots to see and do around the border towns, lots of lovely individual shops,I came across a great butchers in Kelso (Lee's) his steak pie was fantastic. The dogs haven't had so much excercise since the since the Pheasant season ended, but they loved it too and saw lots of wildlife along the way! We had a very relaxing holiday but it is also a fantastic place for a family holiday- very safe location for the children. We have stayed at Hendersyde many times over the last half dozen years or so and found it to be a superb place to chill out. The cottages are cosy and have everything you could possibly need. Nothing better than sitting in front of a coal fire in the middle of winter toasting your toes. (Coal is included in the rental package.) Although the cottages are almost identical I prefer East (I don't know why!) Each time we go, there is always something to do in the area. We just love staying at Hendersyde. Walks start from just outside your front door. We wouldn't go anywhere else. Make up of party: Usually it's just my husband and I who go but our daughter sometime comes along as well. When she was young she loved all the animals on the farm and helped out sometimes. We stayed in Southsyde cottage (with our family in the cottages either side of us) and had a fantastic week. Sue's hospitality was a perfect start with homemade cakes and a lovely warm welcoming cottage. The cottages are all well equipped, cosy and homely with everything you could possibly need. We have three children under 3 and it worked perfectly for us - spacious bedrooms, lots of toys and books, a safe enclosed garden and best of all a farmyard of animals to view whenever we (or they!) liked. We would most definitely return to Hendersyde and recommend to family and friends. Make up of party: Family of 5 with 2 year old daughter and 6 month old sons! What can I say,it was our second visit. We stayed at the west cottage. Kelso is a beautiful village and also Peebles,Dunns,Moffat,St Abbs, Melrose and the list goes on and on. We visit the Hirsel country park, Paxton house. We recommend your cottage to our friends in the Netherlands. We spent a week in the West Cottage and had a fantastic week. The cottage was extremely comfortable and had a lot of extras (such as wi-fi) to make life comfortable. Sue provided a warm welcome and the flapjacks were greatly appreciated since we had missed lunch that day. The Borders was a great area to visit and we wished we had had more time to do some walking and cycling. The children enjoyed the table tennis and the books/games in the cottage. Kelso is a lovely town with a variety of restaurants in and around it and surrounding villages. Great location with easy access to Edinburgh and northern England. Highly recommend for families seeking self catering accommodation in a peaceful and beautiful location. Fabulous cottage and such a warm welcome. Much appreciated fresh eggs & rock cakes on arrival. Spacious, comfortable and well equipped with plenty of local information available in written form and from Sue. Lovely touches such as fresh herbs by the front door. We'd love to visit again in winter. Great location, peaceful, for cycling and walking. Kelso is a friendly town with good shops & places to eat. Have enjoyed all three cottages on a number of occasions. Nothing better than taking one's first cup of tea into the garden and admiring that Northumberland mountain called Cheviot. Am a Northumbrian by birth (now exciled in Surrey) so it is always a joy to return to the land of celtic saints. Berwick Upon Tweed is a delightful wee toon and a pilgrimage to Holy Island (tides permitting) is a must. Go on, take the plunge. You won't regret it! Make up of party: Only me. We recently stayed in West Cottage. The cottage is very comfortable and warm with central heating and an open coal fire. It is very well equipped with good internet access. We just loved the location with superb views over the fields. It is just so relaxing. We were visited by ducks, a hedgehog (which enthralled our dog) and much birdlife including a woodpecker. Sue makes you very welcome. There are great walks around the farm. Kelso is a lovely small town with a good number of shops and plenty of restaurants. There is much to see and visit in the area with easy access to Northumberland. We enjoyed our holiday so much we are returning to East Cottage in August. This was our fourth visit to the cottages and as normal Sue made us feel so welcome. The cottage is well equipped and homely it is a home from home. Our four year old loved walking the sheep dogs and visiting all the animals on the farm. There is so much to do and see in the surrounding area that we hardly scratched the surface in the week. We have in the past and would do in the future recommend the cottages. Our second visit to the same cottage, facilities excellent,the kitchen has everything you could need, decor very good,very homely and comfortable.The usual friendly welcome from Sue, flowers ,flapjacks and helpful advice.Found good walks from the farm ( via the monument and through Ednam) friendly golf courses at the Hersil and Minto. Very tranquil setting in lovely countryside. 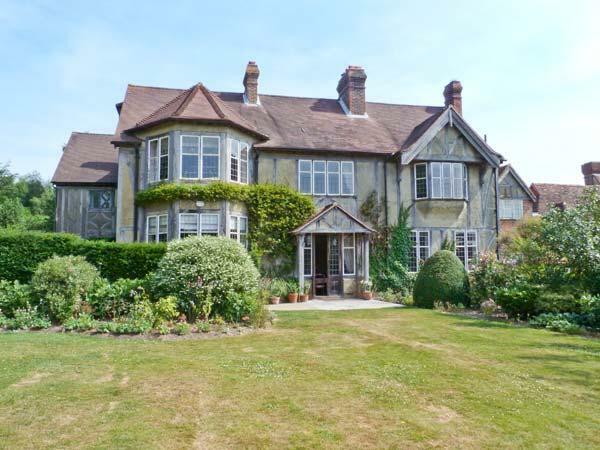 First stayed at Hendersyde in 2000 and have returned once or twice a year since. There is always a warm welcome waiting from the hosts with nice touches to start the holiday on its way. The cottages are well located for views, extremely comfortable, nicely furnished and well equipped. Kelso is a good base for a relaxing holiday whether close to home or touring the beautiful Borders. Plenty of good walks from the cottages or there is the whole of the Northumberland and East Lothian coastlines plus Edinburgh to explore within an hour's drive. Location of the cottages is such that there should be no concern for the safety of both children & pets. The cottages are just off the farm track, down a stoney drive, completely isolated from the stresses of the modern world, from the moment you walk into the house, you feel relaxed and able to unwind. Nothing is rushed, the welcome is warm and very friendly, everything is expalined, and the chance to chat with the owner and just chat was very welcomed, compared to some places we've stayed in. On one hand, you want to tell everyone about it, on the other you want to keep it a secret and all to your self. A week was not long enough!